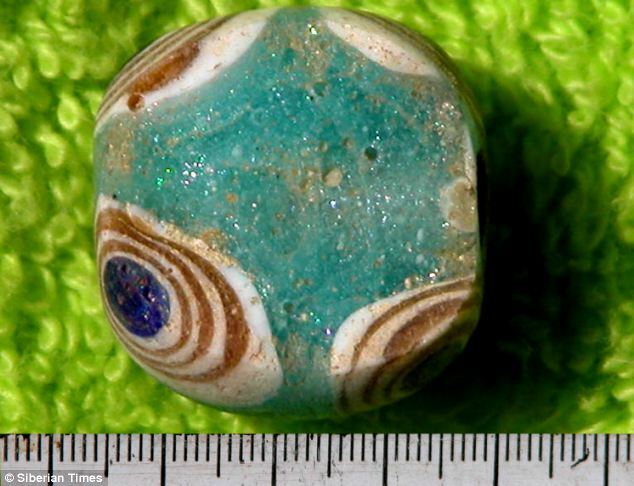 Extraordinary brightly-coloured glass jewellery believed to be from Ancient Egypt has been found in a 2,400-year-old burial mound in Siberia. Nicknamed ‘Cleopatra’s Necklace’ by the Russians who found it, the jewellery was discovered on the skeleton of a 25-year-old woman, believed to have been a virgin priestess. 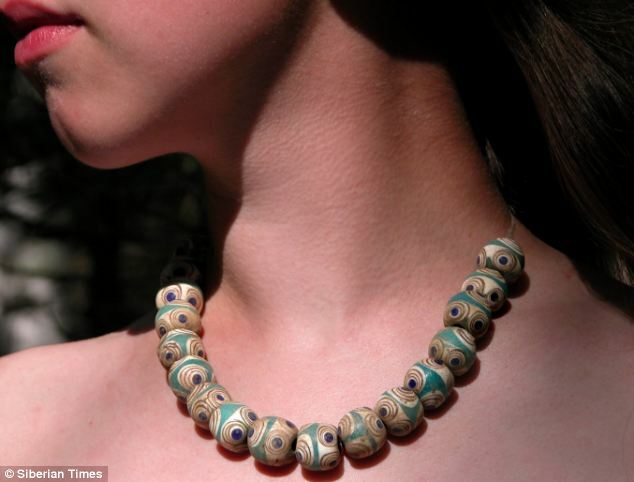 Although it was discovered during a dig nine years ago, this is the first time a picture of the priceless 17-bead necklace has been shown since it was found in the Altai Mountains by archaeologist Yelena Borodovskya. 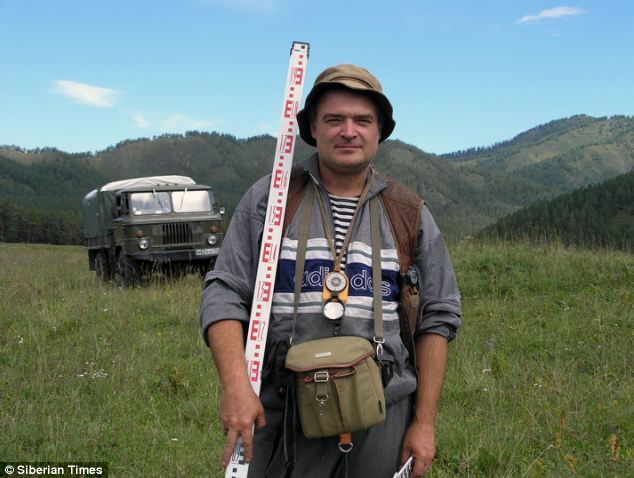 Siberian academics have released the images in the hope of finding experts from across the world who may be able to pinpoint the necklace’s exact origin. 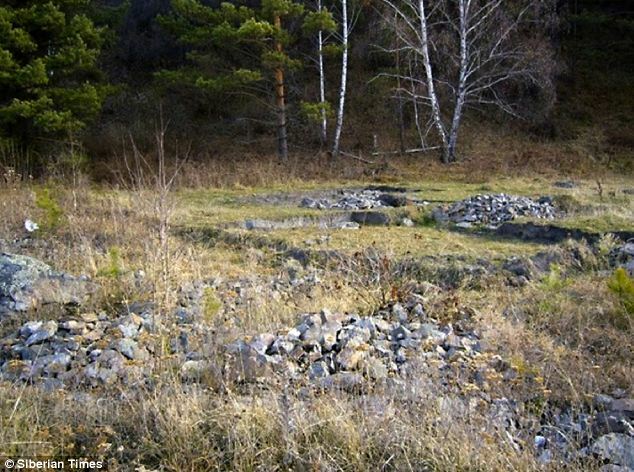 ‘It has a striking variety of colours, beautiful shades of deep and light yellow and blue, said Professor Andrey Borodovsky, 53, of the Institute of Archeology and Ethnography, Novosibirsk. Professor Borodovsky said that the intricate beads were made using the ‘Millefiori technique’, which involves production of glass canes or rods with multicoloured patterns that can only be seen from the cut ends. It is believed that the jewellery pre-dates Egyptian queen Cleopatra, who died in 30BC, but Professor Borodovsky wants to find experts to help him date the piece, according to the Siberian Times. 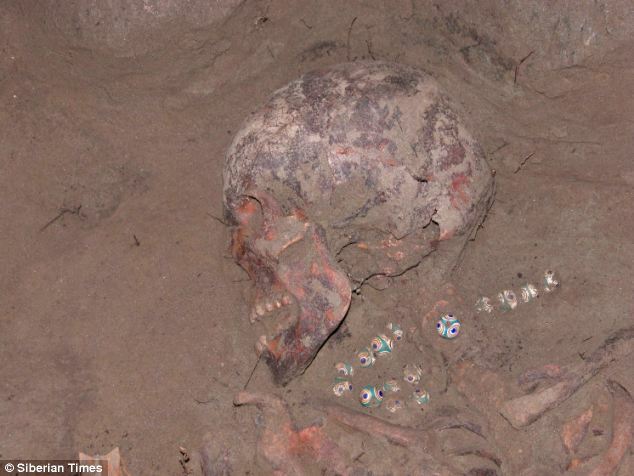 The owner of the necklace was believed to have been 25-years-old when she was buried with the beads around her neck. She was believed to have been a ‘blue-blooded’ woman, who was likely to have come from a highly regarded tribe or clan. ‘It is quite likely she was a priestess,’ said Professor Borodovsky. 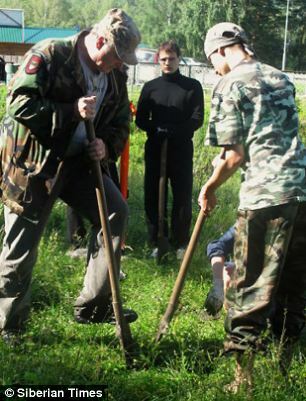 ‘What points to this status is a bronze mirror which was packed into her “burial bag”. ‘The mirror had a chain of bronze pendants attached to it, also there was a set of sacrificial bones with a little butcher knife. ‘It shows that the mirror was treated as a living creature, which points to its magical function. Academics also suspect the mystery necklace owner was a kinswoman of the famous tattooed ‘Princess Ukok’, whose body artwork was preserved in ice following her death. An artifact such as the necklace has never been found in Russia before, although Professor Borodovsky said that he was not surprised that the jewellery reached remote Siberia from Egypt more than two millennia ago during the Scythian period. ‘Siberia has always been a kind of ‘stream of civilization’ – a transit territory, rich with resources and attractive for migration,’ he said. 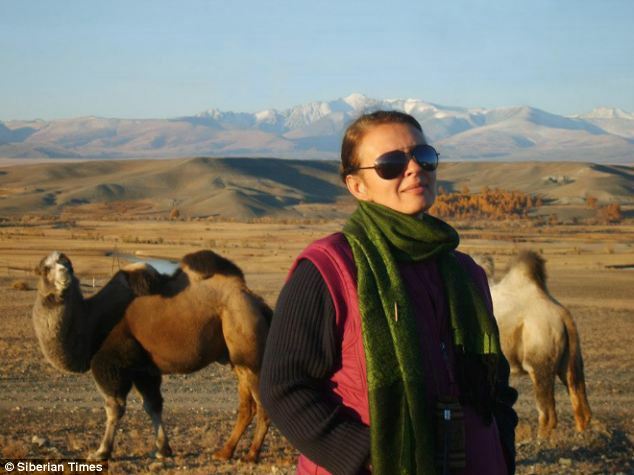 He added that the necklace, and its owner had probably come to Siberia via present-day Kazakhstan, along an old silk road. 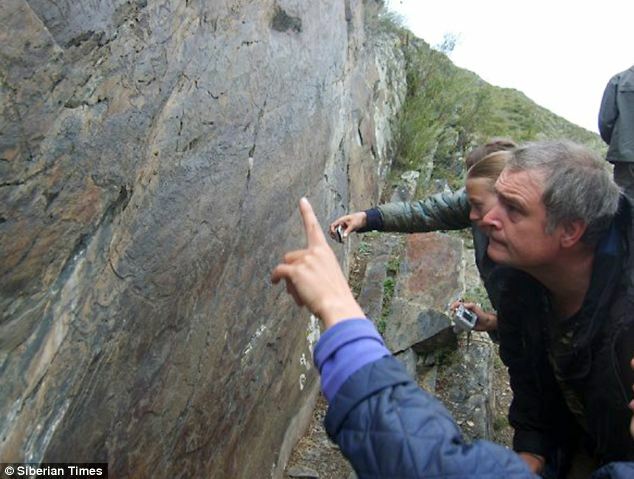 ‘It is most likely by this route that those beads got to Altai,’ he said. If you look at the eyes on the necklace (big blue ones), they look to me like some of the statues of summerian cultures with the big blue eyes. Amazing Secret Properties Of Plants – Why Humans And Plants Resemble Each Other!